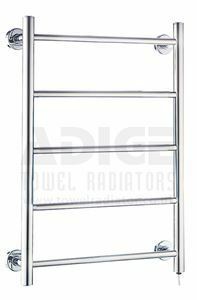 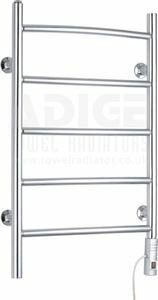 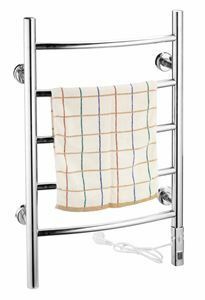 500mm wide and 1200mm high round tubed chrome plated designer towel radiator with 364 Watt - 1243 BTU/h @ Delta 50. 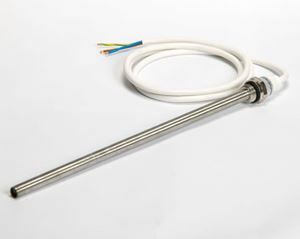 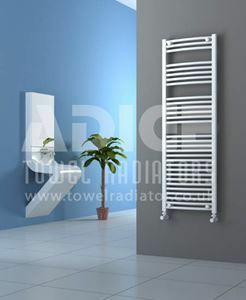 500mm wide and 1200mm high chrome curved tube on tube designer towel radiator with 500 Watt - 1707 BTU/h @ Delta 50. 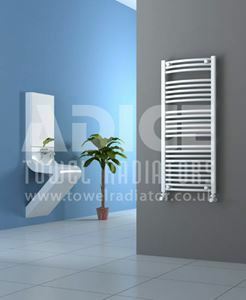 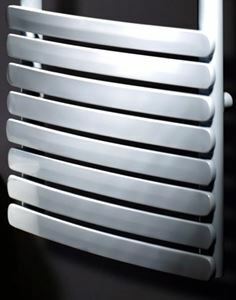 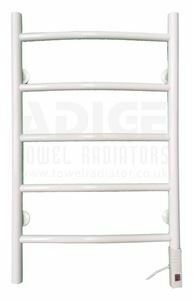 500mm wide and 1200mm high white curved tube on tube designer towel radiator with 633 Watt - 2161 BTU/h @ Delta 50. 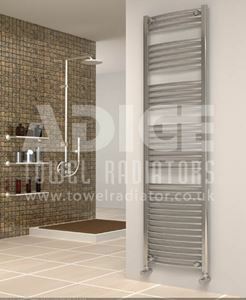 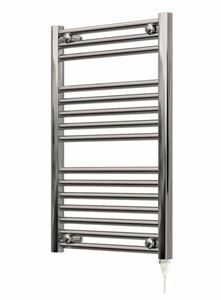 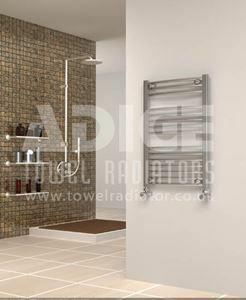 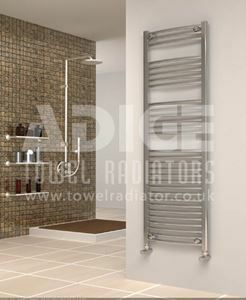 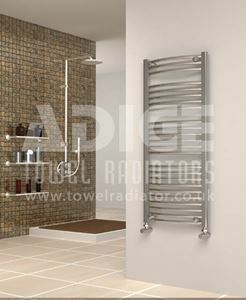 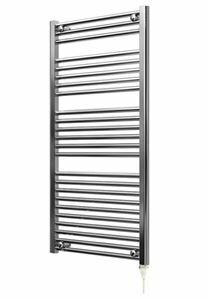 500mm wide and 800mm high chrome curved tube on tube designer towel radiator with 349 Watt - 1189 BTU/h @ Delta 50.